Essential Oils can help us so much in every day life. You will have real immediate results when you choose the right essential oil and the right application method for the condition at hand. How do you choose the right essential oil and the right application? This is a question that I am asked almost on a daily basis, since many people try recipes from books or postings on the internet and still don’t get the desired results. Here is the honest answer: In order to choose the right essential oils and the right application for yourself and experience lasting effects, you will need to study the essential oils and their properties in-depth. Essential oils are really complex living cells, able to adapt their chemistry to activate, enhance, or calm down the physical chemistry in our body. Essential Oils are really more than just great smelling, mood enhancing, or creating a nice atmosphere in the environment. 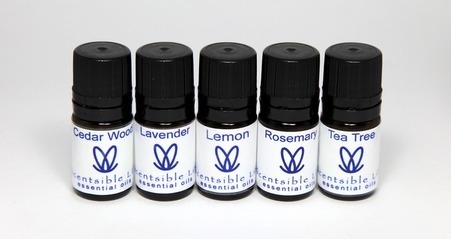 Scentsible Life offers you many ways to engage and experience essential oils. We have training programs, workshops, clinics, social gatherings and sessions. All of it is geared towards helping people to open and blossom, to maintain well-being, whether it is physical, emotional or mental, and to activate a true sense of freedom and passion for life. We are really passionate about wanting many people to engage and participate in a Scentsible life. Essential oils, Essential Oil Sessions and Elemental Therapy can help us to take care of our bodies, lower stress levels in our bodies, learn to eliminate many stress factors, boost the immune system, and so much more. Being in an uncomfortable situation, whether a sickness or a challenge in life, automatically puts the body into a state of survival activating the sympathetic nervous system. In this state, your physical energy has only access to fight or flight responses. Solutions and decisions from the state of survival will only guide you into action and responses of protection and defense. This state of being should only be reserved for actual physical danger. However, the body cannot differentiate whether we are in physical or emotional/mental danger. It produces the same fight or flight chemistry. It is very rare that people are really in physical danger every day. However, the body thinks so, because of our nervousness, anxiousness, worries, and stresses. Essential Oil therapy will help you to become aware of the source of nervousness, anxiousness and fears by assisting you to detach from emotional charges and mentally dwelling on a problem. This will bring your body in a state of deep relaxation and bring your mind into a state of clear, unattached, objective thinking and calm the emotions. Elemental Therapy will guide and assist you to use the force of the survival energy to break repetitive and habitual patterns. With Elemental Therapy you will see how to turn hardships, challenges, struggles and fears into wisdom, knowing and an outcome that is beneficial to the happiness of your life, the well being of your body, the activation and stimulation of your creative mind, and the sparking of your loving and compassionate nature. Information about workshop, social gatherings and session times can be found at www.scentsiblelife.net.